My unhealthy obsession with good food often leaves me constantly keeping tabs on various restaurants and chefs. 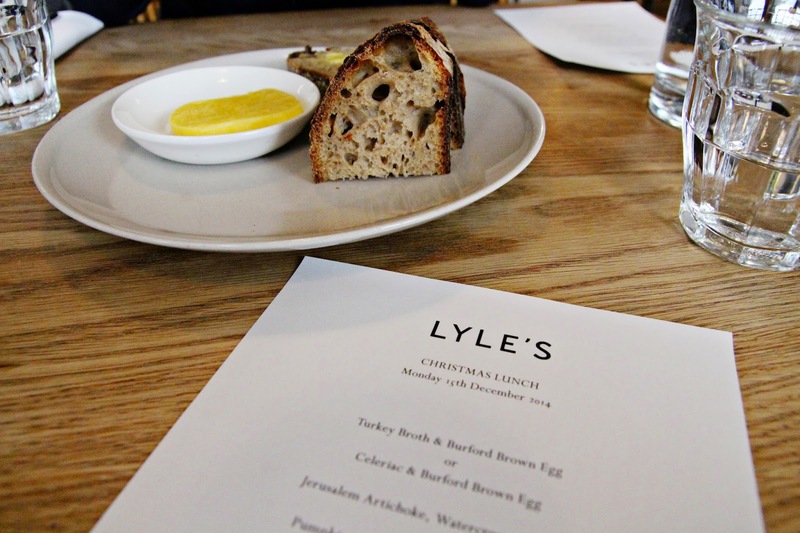 James Lowe has worked as head chef of the iconic St. John Bread and Wine for several years before venturing out and opening Lyle's. 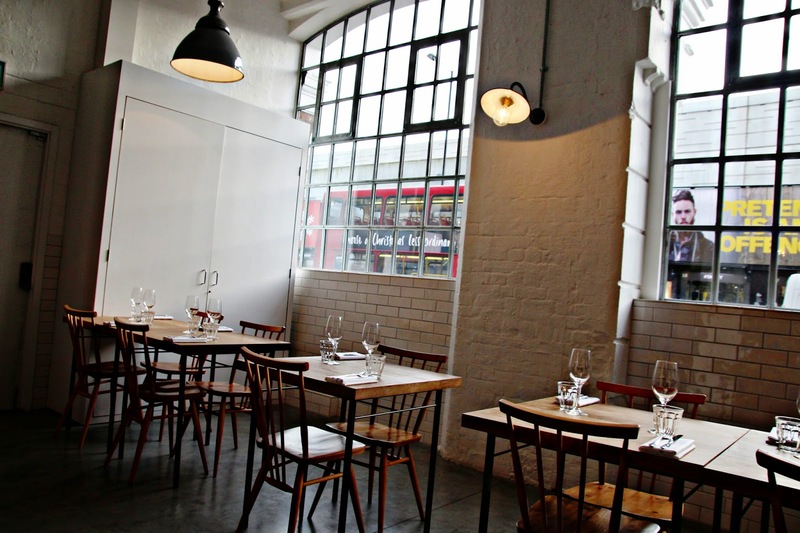 I've been itching to visit for a while, and finally snagged a reservation during my Christmas vacation to London. While there, I ordered their "Christmas Lunch", which included four very delicious courses. First up was the Turkey Broth & Burford Brown Egg. Everything came together so well in this course. 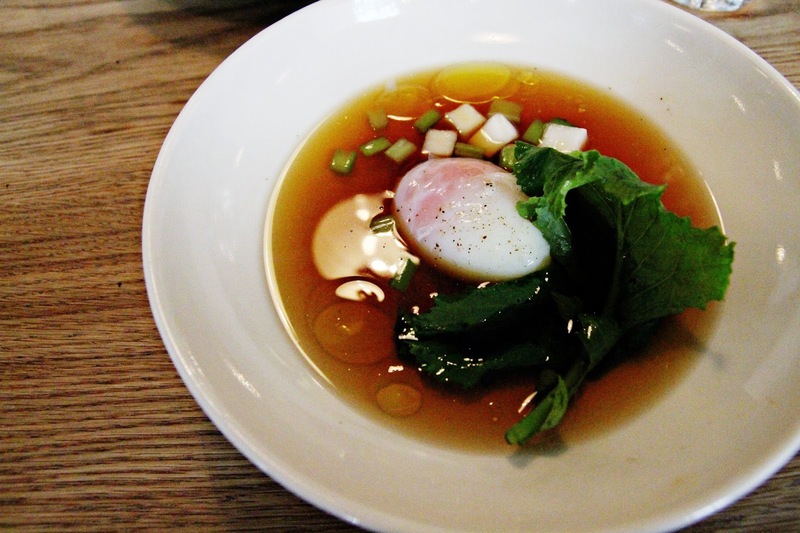 Just scooping up the oozing egg yolk in a spoonful of broth was enough to put a smile on my face. 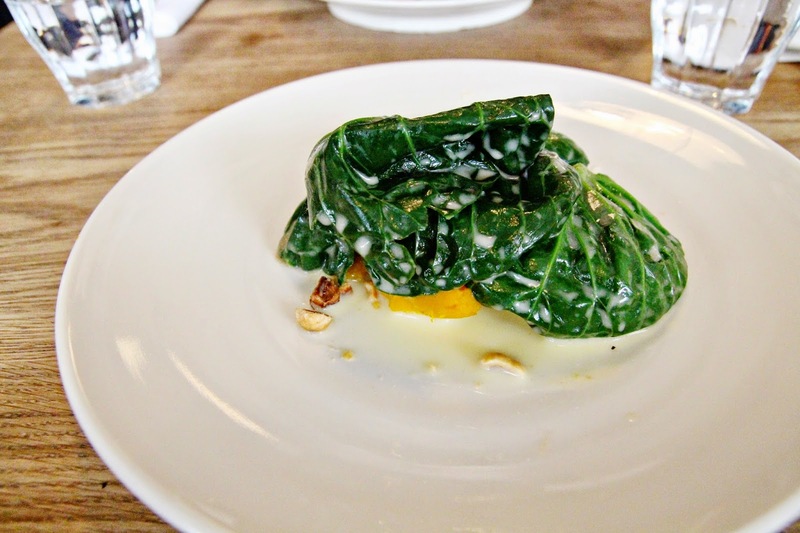 Next up was Pumpkin, Whey Butter & Brussels Tops. While I'm not a fan of brussels tops by themselves (though I love brussels sprouts), the addition of pumpkin added a fabulous texture and taste. 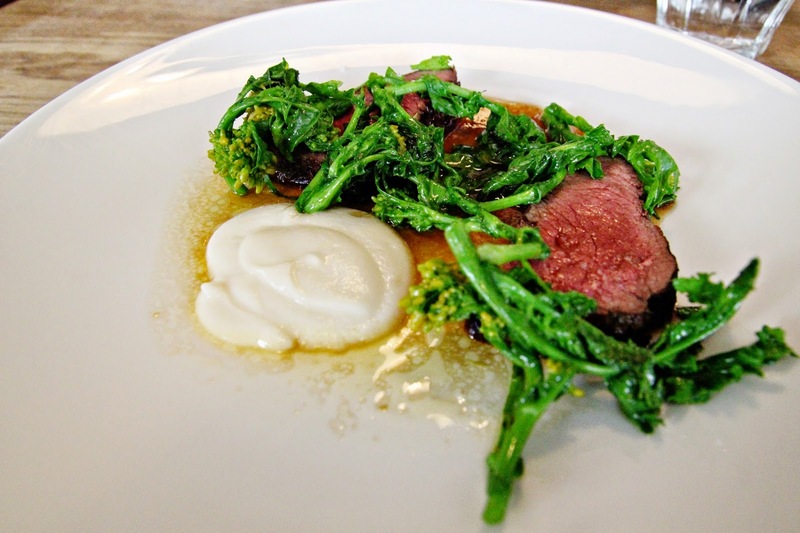 My main entrée was their Red Deer Haunch, Turnip & Turnip Tops. Normally I find deer meet to be very chewy, but Lyle's did this dish right. While I could pass on the turnip tops, I believe that's just personal preference as my dining partner gobbled it all up. 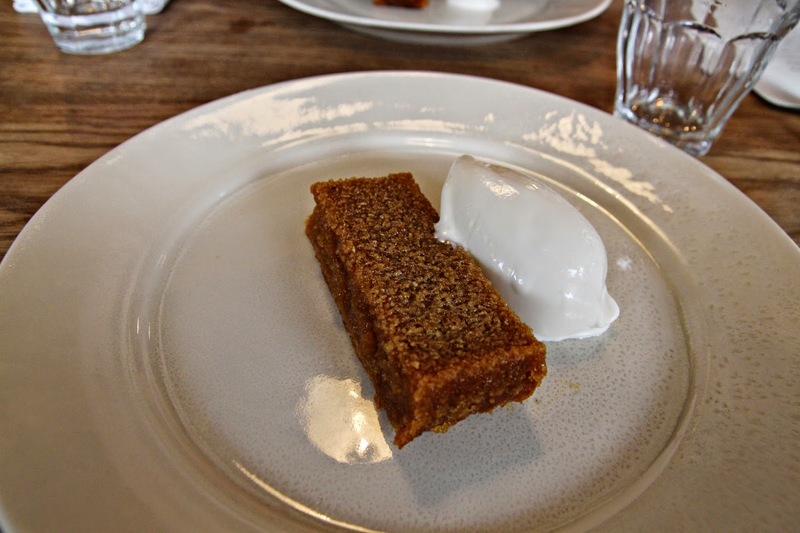 Last, I enjoyed a classic Treacle Tart & Milk Ice Cream. What a lovely finish to my lunch. There's just something so satisfying about munching on a sticky dessert with melting ice cream on top. 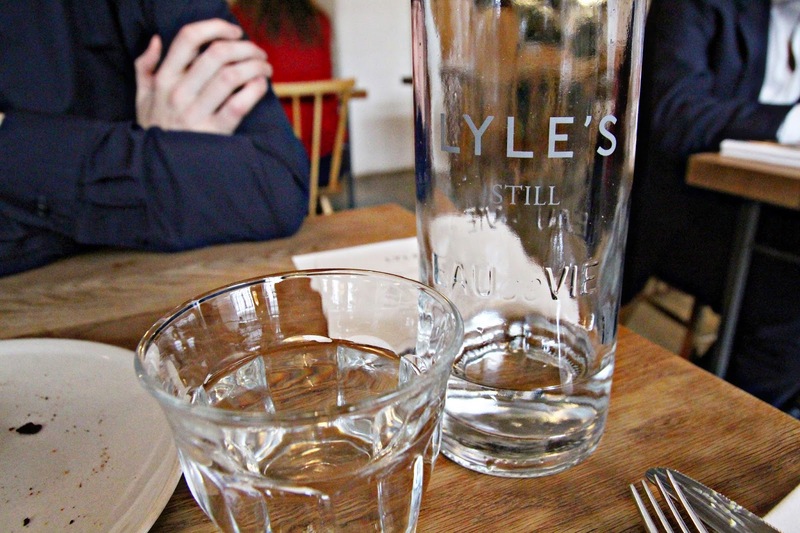 All in all, Lyle's is definitely going to hit the top of favorite restaurants list. Add well designed space, and you're in dining heaven.